Today, the greatest luxuries are achieved through experiences. Discovering new adventures and exploring new worlds generate memories that are more valuable than any tangible luxury. Enhancing those experiences are the latest tools, technologies, and amenities that make the most of modern travel and enable travelers to share their adventures. To honor this pursuit of Modern Exploration, Robb Report Studio presents one of today’s greatest adventurers, destinations for pursuing adventure, and journeys designed for the adventurous—all of which will inspire a passion to explore new experiences. 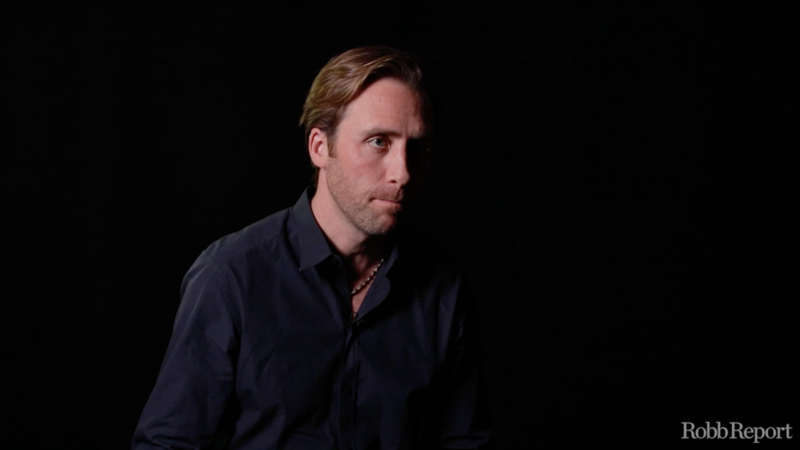 Philippe Cousteau has exploration in his blood. He is the grandson of the legendary French explorer Jacques Cousteau and the son of Philippe Cousteau, Sr., who was also an explorer and helped produce dozens of aquatic and conservations films during the 1960s and 1970s, many of them with his father. For Cousteau, following those two monumental legacies drives his unrelenting desire to explore and share his adventures with the world. Cousteau’s father died tragically during an expedition six months before his birth. He also lost a close friend, Steve Irwin (aka the Crocodile Hunter), who died on expedition while they were filming their underwater documentary Ocean’s Deadliest (Cousteau’s first full-length documentary) after being pierced in the chest by a stingray barb. But these tragedies don’t discourage Cousteau; they empower him. With this determination to explore preprogrammed into his DNA, Cousteau carries the torch of his family’s legacy. The 37-year old Emmy-nominated television personality currently hosts and executive produces the weekly syndicated television series Awesome Planet, which is now in its fourth season on Fox and Hulu. He also produced and hosted the science-based comedy series for CNN’s digital platform Great Big Story called The Aquatic World of Philippe Cousteau, which is a tongue-in-cheek take on Wes Anderson’s film The Life Aquatic with Steve Zissou starring Bill Murray and Owen Wilson. During the short educational episodes, which are illustrated with aquatic animations reminiscent of those in the film, Cousteau explores and discusses some of the unique wonders of the ocean. As a special correspondent for CNN International, Philippe hosted several award-winning shows, including Going Green and Expedition Sumatra. He’s also hosted underwater and exploration films and series for several television networks, including Discovery Channel, Animal Planet, BBC, and Planet Green, among others. Together with his wife Ashlan, who is a journalist and also an explorer, the deep-sea diving duo currently star in the Travel Channel’s newest adventure series Caribbean Pirate Treasure. The series premiered in August and follows the Cousteaus as they search for sunken treasures in the Caribbean. Beyond documenting his incredible underwater adventures, Cousteau also carries on his father and grandfather’s passion for conservation. In 2004, Cousteau and his sister Alexandra founded the nonprofit organization EarthEcho International to honor their father. Its mission is to inspire young people around the world to become active in conservation efforts. Cousteau sees these conservation efforts as further extensions of his and his family’s legacy. Working with children through EarthEcho and all of his films and shows gives Cousteau a wide-reaching medium to tell the stories of his adventures, educate the world about the wonders of the ocean, and help inspire global conservation efforts. Ulysse Nardin’s Diver Chronograph is the new definitive timepiece for serious and recreational divers alike, in addition to being an elegant sports watch for all occasions. 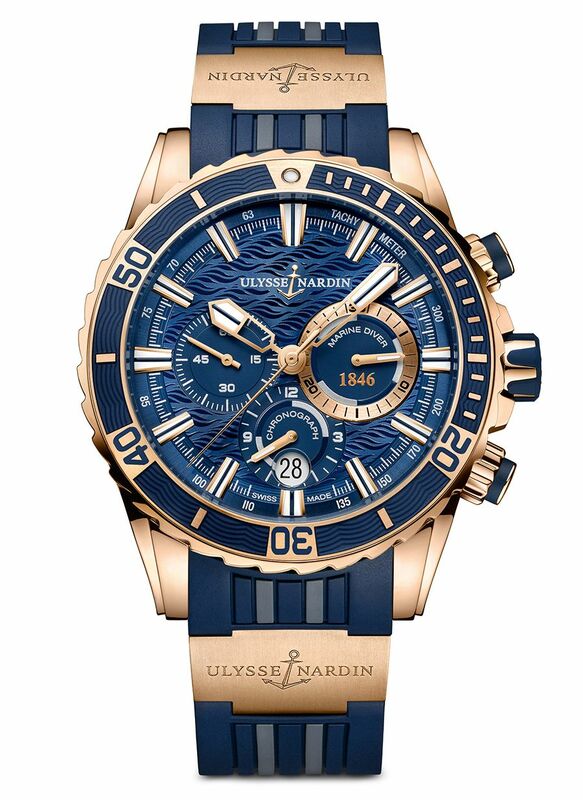 With 30-minutes, 12-hours, and small-seconds registers, as well as Ulysse Nardin’s supremely accurate self-winding caliber UN-150 chronograph, the watch offers crucial instruments for diver performance and safety. It is water resistant to nearly 1,000 feet and features a screw-down security crown and a sizable 44mm 18-carat rose gold case with sapphire-crystal display, ensuring excellent visibility and stability, as well as striking good looks. “Last time I had a wetsuit on I was filming the last episode of Caribbean Pirate Treasure for Travel Channel and that was in the Silver Bank [submerged land bank, north of the Dominican Republic] in July. We were in Antigua, Saint Croix, Saint Thomas, Tortola, the Commonwealth of Dominica, which just got hit really hard by hurricane Maria, as well as the Dominican Republic, Texas, Florida, Belize, and Roatan. It was a terrific adventure exploring the history and mysteries of all the pirate lore and stories we grew up with. My wife and I got to do that together, which made it even better. “I’ve been diving with sharks all over the world—great whites, you name it—but the scariest thing I’ve ever done, or at least the creepiest, was for a series I did with the BBC called Oceans. It was about 10 years ago and we were filming these juvenile giant squid in the Sea of Cortez that can be 5 or 6 feet long. These squid don’t have suction cups on their tentacles; they have hooks almost like little teeth all around them, so they can grab stuff. And they’re carnivores and have even been known to be cannibalistic. “They live in the deep ocean, but they migrate up to the surface to hunt at night and when they do, they come up in the thousands, flashing a deep red color up and down their body. So, when you’re on the boat, you know they’re there because you see this red glow starting to come up underneath you—like you’re descending into inferno. 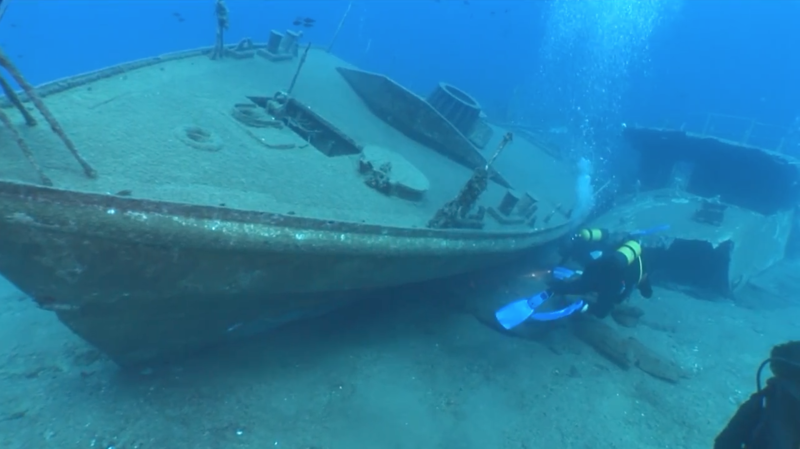 “We were filming, so we got in the water and descended to about 100 feet in the pitch black. It was just the cameraman and myself and we were tethered to the boat, because the current would sweep you right out to sea and you’d be gone forever. 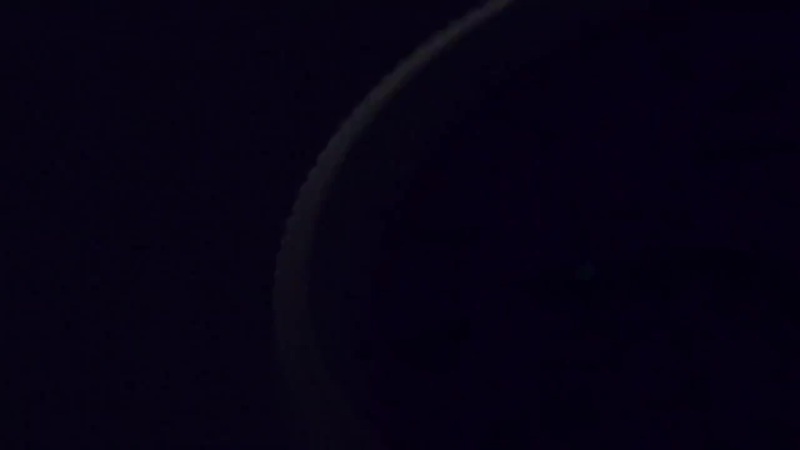 So, we were floating in the water and started seeing this red glow slowly rising up towards us. “And then all of a sudden, there’s just these things darting all around. This 6-foot squid comes right up in your face and starts touching you. They’re very curious and their eyes are big, so you can tell they’re looking at you. Then all of a sudden there’s a dozen of them swimming around you. Then one of them bumps into another one and they fight and tear each other apart right in front of you. “It was really my first trip on my own in the wild. We were on a small research vessel in southeastern New Guinea for two weeks. It was this experience of camaraderie and the discovery and that adventure that really got me hooked. But I got a horrible ear infection from some really warm, nutrient-rich water. As a 16-year-old kid does, I was jumping off the top of the boat all the time and the water was getting in my ear. One morning I woke up and there was blood all over my pillow. “Getting to the nearest hospital, you had to get in an airplane, which means you had to go up, and my ear was all infected and swollen—but I had no choice. Luckily, I made it and my ear just barely equalized at the top of the flight, but it was agony the entire time. We landed in Port Moresby [the largest city in Papua New Guinea]. I got to the clinic and the doctor put me on the strongest antibiotics right away. I went back to the hotel and couldn’t fly for a few days—but I was scheduled to go to the Highlands [of Papua New Guinea]. The Annual Calendar Chronograph is a timepiece showcasing Ulysse Nardin’s unique in-house production capabilities, avant-garde technical execution, and rare aesthetic artistry. Supplementing the mechanical achievement of the Swiss watchmaker’s UN-153 calibre in-house movement is a chronograph with 30-minute counter, as well as a month and date counter. 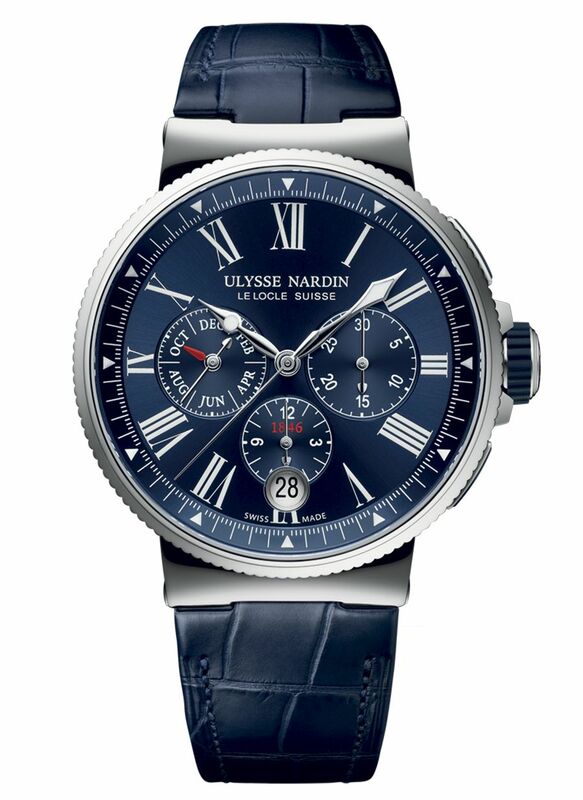 The watch features a handsome dial—forged using the Grand Feu kiln-firing process—with the classic detailing that makes Ulysse Nardin timepieces iconic and immediately recognizable. and Four Seasons Jackson Hole. One of only two U.S. properties from London-based Aman, Amangani is a standout of hospitality in America—and from its location amidst Wyoming’s stunning wilderness, it is all about adventure. The resort offers incredible ski packages, including options with heli-skiing or snowcat access to powdery backcountry slopes. It also gives guests opportunities to view Wyoming wildlife such as elk, deer, bison, moose, bears, and wolves. Among Amangani’s staff is a naturalist, who can take guests on guided tours of the Grand Teton and Yellowstone national parks. Snowmobiling, snowshoeing, and dog-sledding excursions are among the other adventurous experiences available at Amangani. Amangani features 40 suites, each with terraces or balconies giving guests expansive views of the surrounding mountains and forest. The interiors are contemporary with a rustic décor utilizing natural materials like wood and stone. The resort also offers reservations for its larger multi-bedroom homes. Other highlights include Amangani’s fine-dining restaurant, outdoor Jacuzzi and 115-foot-long infinity pool, and a wellness facility with treatment rooms, steam rooms, and exercise studios. Amangani nightly rates start at about $800. Located slope-side at the Jackson Hole Mountain, Four Seasons Resort and Residence, Jackson Hole, gives guests easy access to some of the best skiing in Wyoming. The resort is just steps from chairlifts, and it overlooks some 5,000 acres of skiable terrain. As part of its Base Camp outdoor-adventure service, the Four Seasons’s ski concierge can help guests with everything from rentals and lift tickets, both offered at the resort’s full-service ski shop, to lessons, a ski valet, and expert excursions such as heli-skiing and guided backcountry skiing. The resort can arrange biologist-guided snowshoe tours through the Grand Teton National Park and winter wildlife safaris in a luxury SUV, during which naturalist guides take guest on expeditions to view everything from bison and bears to bighorn sheep and bald eagles. Other activities available at the resort include snow yoga and stargazing. During summer months, the resort offers guided trips into Yellowstone National Park to discover secret waterfalls, geysers, and more. Accommodations include 124 guest rooms and suites and 34 private residences, with three restaurants on site and an 11,685-square-foot spa with 16 treatment rooms. Four Seasons Resort and Residence, Jackson Hole, nightly rates start at about $500. With the Caribbean as the destination of choice for a leisurely yachting experience (during the northern hemisphere’s winter months), South America is better suited for adventure and exploration, especially the waters off the coast of Patagonia in the southern areas of Chile and Argentina. are standouts, with creature comforts on par with those of the world’s finest superyachts, as well as features and performance capabilities to create the ultimate South American adventure. When it launched last year, the sailing superyacht Aquijo made quite the splash. Not only is the 282-foot yacht the world’s largest high-performance ketch at 1,538 gross tons, it is also the result of a collaboration between two iconic shipyards, which is something of an industry rarity. The two Dutch builders Oceanco and Vitters Shipyard, which specialize in 200-plus-foot motor yachts and high-performance sailing yachts, respectively, combined forces to create Aquijo, which features an exterior design from Tripp Design Naval Architecture and an interior by Dölker + Voges. Unlike many high-performance sailing yachts built largely for speed, Aquijo focuses on exceptional comfort, with features designed for taking in the far-flung destinations that the yacht visits. Standout exterior spaces on the tri-deck yacht include the capacious flybridge, with 360-degree views that guests can enjoy from a big U-shaped sun pad, a hot tub, or one of the two large sofas with gimbaled tables that keep the surfaces level, even while at sail in rough waters. The yacht’s interior highlight is the water-level beach club, which is among the largest of any sailing yacht and features a spa area with a sauna, steam room, and hot tub, as well as direct access to the swim platform aft. The yacht charters with an array of toys and tenders, including eight sets of dive gear. It sleeps up to 12 guests in a flexible seven-cabin layout, and charters with a crew of 17. Aquijo is chartering is South America this winter through Y.CO, with availability in Patagonia for the month of February. Weekly charter rates start at about $540,000 (€450,000). This yacht was built to explore. Launched in 1973 as a Cold War icebreaking vessel for the Soviet Union, Legend underwent an extensive, yearlong refit in 2015 at the Dutch shipyard IconYachts, which transformed it into a go-anywhere luxury superyacht. The refit included the addition of 100 tons of steel and aluminum to further reinforce the structure and lengthen the hull by about 12 feet to make room for a swim platform at the stern and a large 16-person pool with a waterfall on the main deck aft. Also included in the refit was a helipad on the owner’s deck for a Eurocopter EC 135 helicopter. While Legend is perhaps most comfortable breaking ice during trips to the Antarctica or the Arctic, it is equally well suited for adventurous charter trips in South America or around the world. The yacht has an incredible range of 7,640 nautical miles. Because of its considerable interior volume, Legend can sleep as many as 26 guests in 13 cabins, with a 19-person crew. A crew of 10 can be added for expeditions, and includes a doctor, ice-pilot, various expedition leaders, naturalists, and other experts. Beyond its rugged capabilities, the yacht’s onboard list of toys and tenders further expand its options for adventure. It charters with a U-Boat Worx C-Explorer submarine, which can take two guests and a pilot to depths of nearly 1,000 feet. Other toys include scuba, snorkel, and fishing gear, snow scooters, WaveRunners, kayaks, paddle boards, waterskis and wakeboards, and tenders for sport and transport. For onboard entertainment, the yacht features an indoor movie theater—on the aft deck, movies can be projected onto the pool’s waterfall—as well as massage and beauty salons and a Balinese-style spa with a Jacuzzi and sauna. Timing is everything, especially for competitive sailors. For its new Regatta chronograph, Ulysse Nardin partnered with the Swedish Artemis Racing team, a contender for the 35th America’s Cup. The watch’s defining feature is its bidirectional sweeping countdown timer, which counts down to the start and then seamlessly begins timing the race. 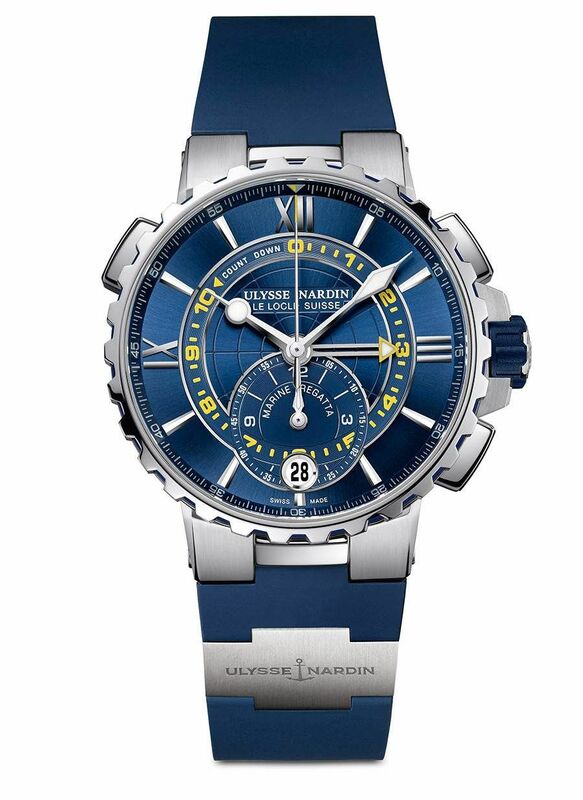 The wristwatch recalls Ulysse Nardin’s nautical roots with a classic design that is well suited to wear on and off the water.